This is bearding, and it is quite common this time of year. 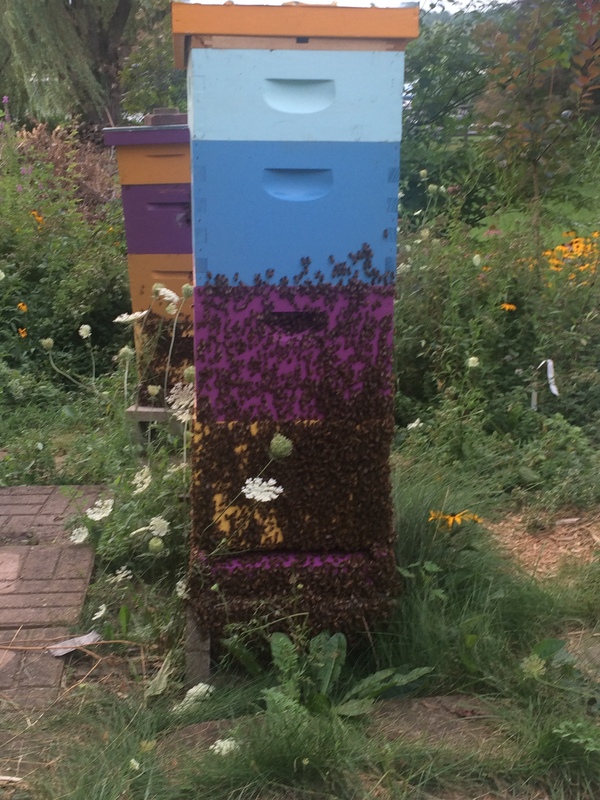 As I recently explained in a recent Facebook post (you can find me on FB under ‘Charlotte Hubbard, Beekeeper and …’), bees do it because they’re at peak population. 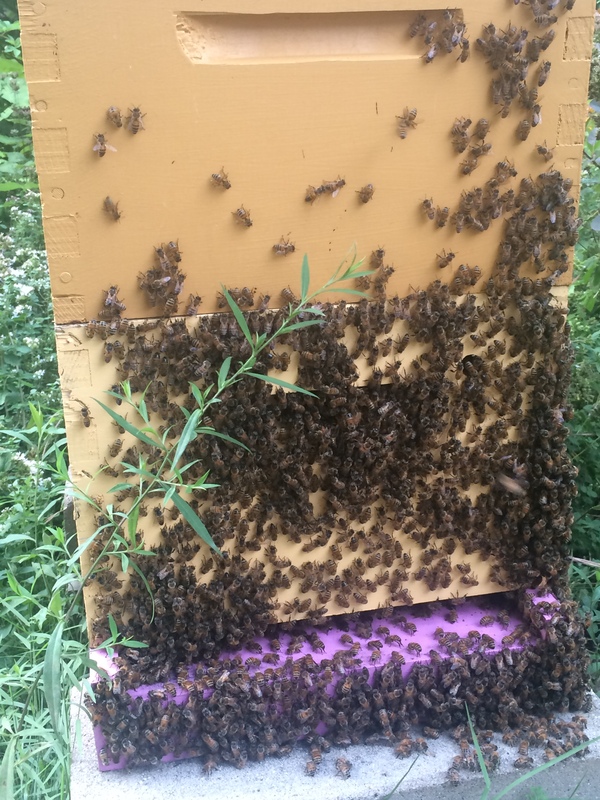 When the foraging bees return from the fields late afternoon, they just hang out on the “front porch” so the house bees can try and keep things cool inside and dry down nectar into the honey we all love. The foragers will hang out there all night, and often in the morning I’ll find little beer cans, chip bags, and a list of places to pollinate the next day. 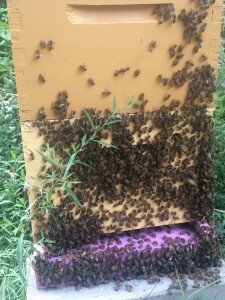 Some of these bees are piled 3-4 deep in rows. Scientists suspect that’s so they can channel airflow thru the hive to help dry down nectar. Way to go bees!